Just looked at Alexander of Serbia and he indeed looks not appealing. Well, Pavel Voronov was Olga´s great favourite and wasn´t appealing neither. I guess the girls were looking more into one´s character. I agree. Pavel Voronov (whom Olga was in love with in 1913) and Dmitri Chakh-Baghov weren't particularly very attractive. But Olga was a very introspective girl and I'm sure she would have admired one's personality and character more than their physical appearance. Yes, I like people like her who don't care for appearance of the one they feel something special for (absolutely like me). Since the Thread's title does not specify anything, I think this is the place where I ought to post my questions. I've read Olga got a revolver from her father and that was surrendered to Kobylinsky the time they were to go to Yekaterinburg. However, how did Kobylinsky know she's got that? Gossiper Sentries? I think Olga was so careful in not saying a word about that gun. Or, was someone from the guards able to see Olga put that right on her boot? 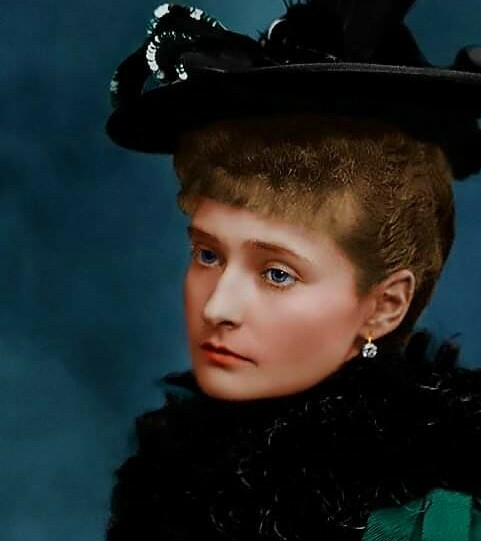 If anyone has the book "The Private World of the Last Tsar" by Paul and Beatrice von Grabbe and turns to page 61 there is a photo of Olga in Mogilev, and she appears to be carrying a gun. If anyone else cares to take a look, let me know what you think. I could be mistaken, but that's what it looks like to me. To anybody who owns this book, would you mind scanning the photo specified for the ones not able to see it? They had toy guns, and during the war, the Empress complained in a letter to the tsar about how noisy the children and their guns were. However, after the revolution, I imagine Olga would have had a real gun, if the story of her being armed is true. Anybody who has the letter described in this post? Thanks again in advance. That's a good question. Unfortunately I don't know the answer, but maybe (since Colonel Kobylynsky was their sympathetic jailer, right?) it wasn't kept in such a grave secret, and so he knew about it, but he had to make Olga surrender the weapon when they were moving... That's just a guess. I'm sure somebody else has the right answer. Would love to see that photo of Olga with gun at Mogilev too. Read stories about many 'guns' held by IF during exile at Tobolsk, and at Ekaterinburg. Why not? For safety. Once when I met Vladimir Soloviev, the Attorney General of Russia and the head of the committee on the investigation of the remains he showed me the Sokolov dossier that Stalin had - I have mentioned that meeting before. Afterwards we had a long talk about what he had found in his research through unpublished materials. I asked him if he could tell me somethings he had learned about the members of the family that surprized him. One thing he told me was the story of the small gun Olga carried. He said, if I remember correctly but this could be wrong, she had it in her boot and she had been given the gun by her father. He said Koblynski begged Olga to give it to him in Tobolsk. Later I found this in writing - but I haven't been able to relocate it. I see arm of one cadet -- Vasya Agayev or Zehnya Makarov. It was taken in July of 1916, or even early August. Did Nicholas really? If your conjecture is true, Sarah,maybe Nicholas did it because he trusted Kobylinsky. I guess it was a slip of tongue for Nicholas in one of his conversations with Kobylinsky. Anyway, that's my guess. I absolutely believe Nicholas trusted Kobylinsky. In his statement in Robert Wilton's Last Days of the Romanovs, Kobylinsky recalls how when he tried to resign from his duties in Tobolsk because of the strain on his nerves, Nicholas put his arm around Kobylinsky's shoulder and said to him, "I beg of you to remain, Evgenii Stepanovich, for my sake, for the sake of my wife, and for the sake of my children. You must stand it. You must see that all of us are suffering." They embraced and kissed, and Kobylinsky "resolved to remain."